The New York Town of Hempstead is considering banning drones in its public places such as parks and beaches, despite FAA’s OK that consumer drones can fly provided owners/operators register their drones and abide by the agency’s safety rules and regulations as well as with the recently released NTIA’s best practices for privacy. 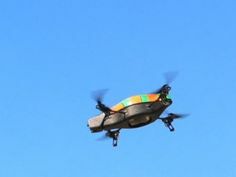 Prior to this, in March, a law was passed to ban drones from flying in the skies of a New York village in Long Island. The move displeased drone enthusiasts, and online commenters weighing in on the matter said places like this fail to understand the good that drones can do: Help firefighters get better looks from above an active scene, use IR cameras on quad to find lost people w/dementia or just lost in general, inspect areas that are unsafe for humans to climb high towers/ladders not needed, to name a few beneficial use of drones. Drones are indeed useful in so many ways, in different areas including aerial photography. Drone photography services for weddings and other social events, mapping, real estate marketing, to name a few, are growing more in demand by the day. Some urged that people who believe in drones should get together to attend council meetings with hard data that quads/drones are really safe. This is precisely what the NY drone community, majority of whom are experienced, responsible, mature people with a shared interest in doing things properly, plans to do – to let their voices heard regarding this latest anti-drone ordinance proposal during the council meeting set on June 21. The Drone User Group Network (DUGN), led by STEM/UAS Educator/Consultant Steve Cohen, is one such respectable organization which find the proposal unnecessary because, among other things, New York already has laws dealing with problematic drones (nuisance, harassment, surveillance etc,) which could be applied to incidents involving drones, and these are sufficient to deal with any future incidents. The DUGN holds people responsible, not technology; thus they also believe that a blanket ban would stifle innovation and numerous community benefits.